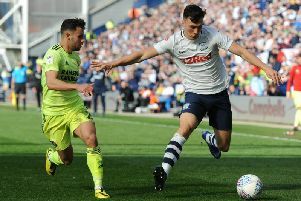 Part one of Preston North End’s week of destiny ended in defeat, that turning the pressure right up on parts two and three. 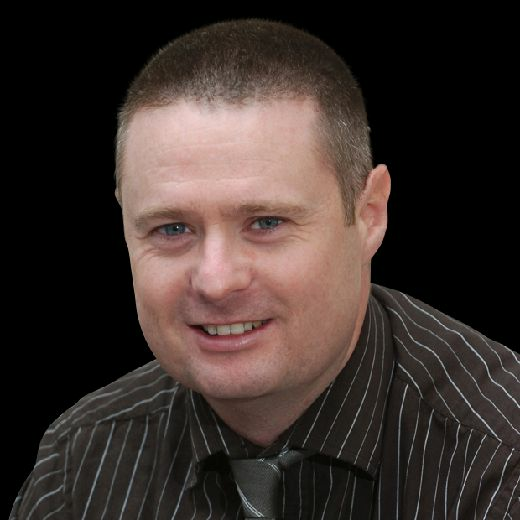 As the Lilywhites motored up the league into contention for the play-offs, it always looked like the trio of games against Sheffield United, Leeds and West Brom would tilt the balance one way or the other in terms of a top-six slot. The Blades edged this one to take the points back over the Pennines, a game in which there was very little between the two sides. While North End missed a couple of good chances which came their way, the visitors took one of theirs. That was the difference, the hosts switching off at a corner and United flicking the ‘on’ switch to take advantage. If they are to claw back the ground which has been lost with two defeats on the spin, realistically Alex Neil’s men need to beat Leeds and WBA. The nature of the division suggests they are capable of doing that but on the flip side PNE could just as easily lose all three. It’s very much on the day, or night, fine margins coming into play. On Saturday they slipped the wrong side of those fine margins. Four times Preston saw the whites of the keeper’s eyes but couldn’t find the net, chances which begged to be put away. Had one of those gone in, especially the three which came at 0-0, we could have been looking at a far different outcome. So it’s on to a visit from Leeds on Tuesday, a side who themselves are licking their wounds after a being beaten at the weekend. As things stand, with PNE back in 10th place and five points shy of the pace, they are a long shot for the top six. All it has taken to knock them back is this loss and last week’s reverse at Reading. When the international break arrived three weeks ago, they were in seventh place and level on points with sixth. So could North End count themselves unfortunate to be left empty-handed? They probably could when the opportunities created in the early stages of the game are taken into account. Don’t get me wrong, they weren’t great over the 90 minutes. Neither were United but they made one of their few clear-cut chances count. Where PNE manager Neil saw the difference was the age of the respective teams. Chris Wilder’s side had some experienced heads in amongst them. A fair few of the starting XI have been around the block, Oliver Norwood, Billy Sharp, McGoldrick, Mark Duffy, Chris Basham to name but five. North End’s oldest outfield starter was Darnell Fisher who had his 25th birthday last week. Keeper Declan Rudd was the senior citizen of the first XI at the grand old age of 28. The average age went up with 34-year-old Paul Gallagher’s arrival during the second half. Fellow subs Louis Moult and Jayden Stockley are 26 and 25 respectively, neither of them veterans at this level. Age and the touch of inexperience was more in evidence later on as PNE chased the game. United smothered the contest with a blanket of fluorescent yellow thrown over the play. North End couldn’t find a way through, chances becoming fewer and fewer. The result was a first home defeat since Boxing Day and that uneasy feeling that this season might not be one when they challenge to reach the Premier League. They could well need to win five of their last six to get into the play-offs, with a reliance on others to slip-up too. It is worth pointing out though, that Preston won four and drew one of their final five matches last year, which may offer a degree of comfort. Injuries, in terms of people missing and returning, had an influence on the side Neil selected. He got Alan Browne back from a three-and-a-half week absence with a damaged ankle. But there was no Daniel Johnson because of injury, while Gallagher started on the bench due to an ongoing calf strain. It meant Ryan Ledson and Ben Pearson started a game in the same midfield for only the fifth time. They had got four outings together earlier in the season but since early October it had been one or the other starting. Pearson played his usual sitting role, Ledson pushing up to join Browne higher up the pitch. Lukas Nmecha and Callum Robinson provided the width, either side of Sean Maguire in a 4-1-4-1 formation. Nmecha is someone who appears to divide opinion among the PNE fans. He can be inconsistent within games, exciting and frustrating in equal measure. In this one, he did plenty to worry the Sheffield defence, in particular Kieran Dowell who was standing-in as a left wing-back. It was his run and pass which played in Fisher in just the third minute, his cross finding Browne whose shot in front of goal was blocked by George Baldock. Sixty seconds later, it was a cross from Nmecha which goalkeeper Dean Henderson kicked away almost off the foot of Maguire at the near post. The scoreline was blank still when Browne blocked a clearance, the ball rolling to Robinson whose low shot was pushed behind by Henderson. Those missed chances bit PNE on the backside when the Blades scored what proved to be the game’s only goal in the 33rd minute. Norwood sent a corner over from the left beyond the far post, John Egan peeling off to head it goalwards. Rudd tipped it against the bar and as the ball bounced back, McGoldrick hooked it into the net from three yards. At the start of the second half, Nmecha latched on to a Maguire header to race away down the middle and play in Robinson to the left of goal. On his weaker left foot, Robinson’s shot was too close to the keeper. Rudd saved from Sharp in a one-on-one soon after, the game then slowing down as United sat in and PNE tried to find a way through. The focus turns on Leeds now, and while it’s not totally a deal-breaker, we should know a lot more about North End’s chances after that.